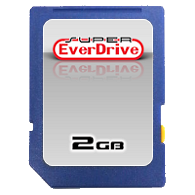 The Super EverDrive DSP v2.3D is a clearance product that is no longer being manufactured. This product will eventually have a newer replacement, but it currently does not have one at this moment. 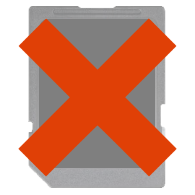 WARRANTY - This product will continue to be supported, however due to the cease in production we can no longer offer a 1-year (or greater) product replacement warranty. This product comes with a 90-day warranty only. This Atomic Purple version of the Super EverDrive DSP was found in the ruble of Sim City after a power plant melted. This cartridge comes assembled with a translucent light purple North American style cartridge shell, purple / dark label and is held together with anodized purple aluminum screws. Ever dream of having your whole library of SNES or SFC games in a single cartridge? 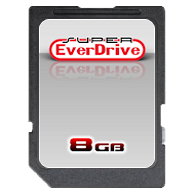 The Super EverDrive DSP allows you to load your game back-ups (commonly known as ROMs) on a microSD card, put the SD card into the Super EverDrive DSP, put the Super EverDrive DSP into a SNES or Super Famicom and have your list of games at your finger tips. Please read the FLASH CART DISCLAIMER below before purchasing. 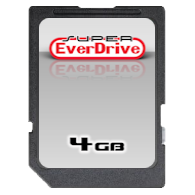 The Basic Edition comes with just the Super EverDrive DSP cartridge in the selected style or configuration covered by a 1-year Warranty. Whereas the Deluxe Edition includes the cartridge, a case, printed manual, a Super EverDrive sticker, Stone Age Gamer sticker, and is covered by a 3-year Warranty. Max. ROM size up to 7Mbyte. Return to menu after reset. SRAM auto backup on SD card. Supported SD/MMC up to 32GB. FAT16 and FAT32 are supported. Connection to PC and any additional software is not require.